Please join me in congratulating our 4th grade CBAA boys travel basketball team for their 2nd place finish in the Pennsylvania State Championship Basketball Tournament this past weekend in State College, PA. The tournament included teams from all over the State of Pennsylvania who had qualified through winning a pre-qualified basketball tournament. 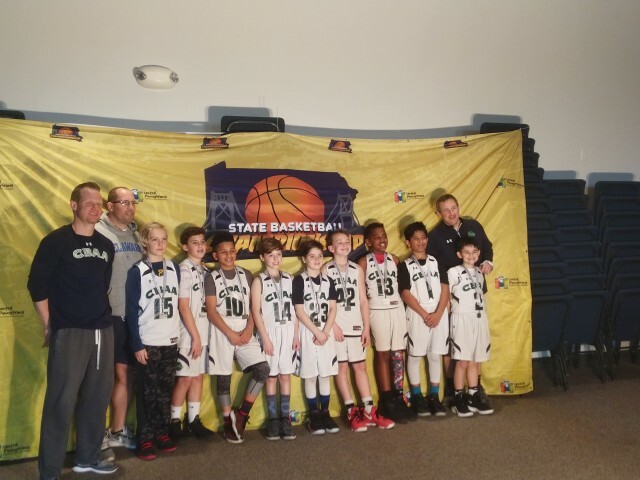 The CBAA 4th grade boys team qualified for the tournament by winning the Division 1 Inter-County Basketball Association (“ICBA”) King of the Court Tournament and the 5B Charge Nation Christmas Tournament. Overall the team went 34-11 between ICBA and Tournament play and also won the ICBA 9U Orange Division Championship.